Robert Legvold. Return to Cold War. Cambridge: Polity Press, 2016. ISBN: 9781509501885 (hardcover, $59.95); 9781509501892 (paperback, $19.95). In this fraught environment Robert Legvold’s 2016 book, Return to Cold War, provides an analytic framework and set of policy recommendations that are both cogent and controversial. Legvold is careful throughout the book to say that he does not mean that the two countries have returned to ‘the Cold War,’ since the globe is no longer dominated by two superpowers with competing ideologies. But the book’s underlying premise is that the current difficult relationship between Russia and the United States—like the Cold War, and unlike other crisis-prone relationships—is based as much on conflicting identities and historically anchored perceptions of the other side’s ‘essence’ as it is on power politics. Legvold is pessimistic that any quick or lasting change in the relationship is possible without fundamental changes in the mindsets and choices of leaders on both sides. And he fears that without those fundamental changes the world may be heading toward disaster, given the modernization and spread of nuclear weapons, the importance of the Arctic region in global climate change, and the complexities of changing geopolitics in China, Europe, and the Eurasian core. Legvold brings unique authority to this topic as a highly respected senior scholar and policy analyst who has deep experience living and working in both the United States and Russia. He has achieved high honors in both countries, having been named a fellow of the American Academy of Arts and Sciences as well as a foreign member of the Russian Academy of Social Sciences. I should note in full disclosure that he is also my treasured colleague, through our mutual ties to Columbia University and the Harriman Institute. Hence rather than commenting on his book myself, I will simply introduce the roundtable’s reviews of it. Four extraordinarily accomplished experts on U.S.-Russia relations bring both outstanding academic records and deep Washington policy experience to their assessments of Legvold’s book. Condoleezza Rice, a former National Security Adviser and Secretary of State (as well as a former Stanford University Provost), lauds many of Legvold’s insights and policy recommendations, but disagrees with his use of the “Cold War” term today. She emphasizes that Russia is integrated into the global economy now in a way the Soviet Union never was, and that this fundamentally changes the calculations of both sides. Rice also takes issue with Legvold’s analysis of the process and effects of NATO enlargement in the 1990s, and is much less sanguine than Legvold about the chances in that earlier era of having achieved some sort of alternative pan-European security framework with Russia. Angela Stent, a former member of the State Department’s Office of Policy Planning and the U.S. National Intelligence Council who currently heads Georgetown’s Center for Eurasian, Russian and East European Studies, is more convinced than Rice by Legvold’s Cold War analogy. Stent argues, though, that the Trump administration’s opening to Russia may signal an important change in the outlook for U.S. policy toward Russia, even though she remains skeptical that Russia under the leadership of Vladimir Putin will reciprocate. Rajan Menon, whose perspectives are drawn from his wide-ranging work in the academic and think tank worlds as well as his earlier service as Special Assistant for Arms Control and National Security to Congressman Stephen J. Solarz, shares Rice’s doubts about the usefulness of applying the “Cold War” term to the present era. He argues that U.S.-Russia tensions today are in fact comparable to those found in many conflicts throughout the world. Yet Menon finds Legvold’s historical analysis more compelling than Rice does, and goes even further, suggesting that the U.S. has more responsibility for the relationship’s negative trajectory than Russia, given what he calls Washington’s “foolish” neglect of Russia’s perceptions of U.S. behavior. Finally James M. Goldgeier, who served as Director for Russian, Ukrainian and Eurasian Affairs on the National Security Council Staff and is now Dean of the School of International Service at American University, finds Legvold’s book compelling and convincing. Goldgeier notes, though, that beyond the perceptual and identity bases of today’s conflict, Russia and many leaders in the West have a fundamental conflict of interest over the future of Europe and its liberal democratic trajectory. Legvold engages thoughtfully with each of his roundtable critics, and contends that the Trump administration may in fact provide an opportunity for Washington to test the book’s arguments. Since the United States, in Legvold’s view, holds a “vastly stronger hand” than Russia, it has less to lose from attempting to build sustained cooperation on what Legvold sees as the defining issues of global security today. Yet Legvold ends on a sober note, fully cognizant that whatever cooperation emerges in coming years will much more likely center on simply managing confrontation between Russia and the West, rather than permanently overcoming the pervasive climate of distrust between them. Kimberly Marten is the Ann Whitney Olin Professor of Political Science at Barnard College, Columbia University, and Director of the Program on U.S.-Russia Relations at Columbia’s Harriman Institute. Her most recent book was Warlords: Strong-Arm Brokers in Weak States (Cornell, 2012). Her current work focuses on Russian security policy and relations with NATO. James Goldgeier is Dean of the School of International Service at American University and co-director of the Carnegie Corporation- funded Bridging the Gap project. Previously, he was a professor of political science and international affairs at George Washington University. He also taught at Cornell University, and has held a number of public policy appointments, including Director for Russian, Ukrainian and Eurasian Affairs on the National Security Council Staff, Whitney Shepardson Senior Fellow at the Council on Foreign Relations, Henry A. Kissinger Chair at the Library of Congress, and Edward Teller National Fellow at the Hoover Institution. In addition, he has held appointments at the Woodrow Wilson International Center for Scholars, Brookings Institution, and the Center for International Security and Cooperation. From 2001-2005, he directed George Washington University’s Institute for European, Russian and Eurasian Studies. He has authored or co-authored four books including: America Between the Wars: From 11/9 to 9/11 (co-authored with Derek Chollet); Power and Purpose: U.S. Policy toward Russia after the Cold War (co-authored with Michael McFaul); and Not Whether But When: The U.S. Decision to Enlarge NATO. He is the recipient of the Edgar S. Furniss book award in national and international security and co-recipient of the Georgetown University Lepgold Book Prize in international relations. Rajan Menon is Anne and Bernard Spitzer Professor of International Relations at the City College of New York/City University of New York and Senior Research Scholar at Columbia University’s Saltzman Institute of War and Peace Studies, is author, most recently, of The Conceit of Humanitarian Intervention (Oxford University Press, 2016). Condoleezza Rice is a Professor at Stanford University. In the George H.W. Bush administration, she served on the National Security Council staff as Senior Director for Soviet and East European Affairs (1989-1991). In the George W. Bush administration, she served as U.S. National Security Adviser (2001-2005) and Secretary of State (2005-2009). Angela Stent is Professor of Government and Foreign Service at Georgetown University, Director of its Center for Eurasian, Russian and East European Studies and a non-resident senior fellow at the Brookings Institution. She has served in the State Department’s Office of Policy Planning and at the National Intelligence Council. Her work focuses on the triangular Russia-Europe-United States relationship. She is the author, most recently, of The Limits of Partnership: U.S-Russian Relations in the Twenty-First Century (Princeton University Press 2015), which won the American Academy of Diplomacy’s Douglas Dillon Prize for the best book on the practice of American diplomacy. She is currently writing a book about Russia and the West. There are plenty of reasons not to characterize the deplorable state of U.S.-Russia relations as a new Cold War. After all, the Cold War was a global ideological, economic, military, and political struggle for supremacy between the two dominant powers in the international system. Whatever this new conflict is, it is not that Cold War, since Russia is the Soviet Union neither in terms of its global military, political, and economic capabilities to shape world affairs, nor is it an ideological power in any meaningful sense. So one can be forgiven for healthy skepticism when seeing the title of Robert Legvold’s new book, Return to Cold War. But Legvold has been one of the most important scholars of the Soviet Union and Russia for many years, and so there is good reason to dive in. Given the breadth and depth of his understanding, Legvold takes head-on the counter-argument that this is not a new Cold War. He knows all the arguments, but he believes they miss the mark. And while many will bristle at the use of the term “Cold War” today, Legvold demonstrates the merit in looking at the relationship through the lens he provides rather than seeing it simply as just another great-power rivalry. His book will be terrific for the undergraduate classroom: it is clear, logical, and purposeful. As Legvold argues, central to the Cold War was the belief that the “essence of the conflict was in the other side’s essence” (28). Each saw the conflict as entirely the other side’s fault. He notes that like the early Cold-War era, today problems in one area of the relationship are bleeding over into everything else. But perhaps the most important benefit of seeing it as a return to a Cold War is that it forces us to look at the quarter-century interregnum and ask ourselves why the two sides are back in such deep conflict with one another. Was it inevitable? Those who suggest that U.S. actions shattered the dreams that the two countries could become great partners after the Cold War usually cite the North Atlantic Treaty Organization’s (NATO) enlargement across Central and Eastern Europe. The alliance has grown from sixteen members to twenty-eight and currently awaits member-state ratification of its invitation to Montenegro. Those who blame the United States for the sorry state of affairs with Russia are quick to cite the opposition to enlargement of leading strategists, such as legendary diplomat George F. Kennan. They argue that those with a keen understanding of grand strategy knew enlargement would drive the bear into a corner and lead it to lash out. Meanwhile, Russia’s annexation of Crimea in 2014 and the continuing support for separatists in eastern Ukraine are fodder for those who believe it is all Russian President Vladimir Putin’s fault. He resented the collapse of the Soviet Union, saw the 1990s as one long decade of humiliation, and decided to push back against the West’s conceptions of European and international order by invading a neighboring country and supporting Syrian president Bashar al-Assad militarily. For Legvold, it takes two to make a Cold War, and he argues it is going to take both sides to move us to a different place. But he is under no illusions that change will come anytime soon, and he reminds us of the stages the Cold War went through over its four decades. His hope is that if the two sides recognize the need to work together, they will find a way to do so. He sensibly provides a number of ideas in areas, such as energy, the Arctic, and nuclear weapons, where cooperation should be possible. The need, however, is for a mindset focused on making this return to Cold War as short as possible and a recognition that engagement and rebuilding of trust is vital. The remilitarization of the divide in Europe is nothing short of a tragedy for those of us who believed in 1989-1991 that walls were falling and new possibilities existed. Were we just deluding ourselves? U.S. policymakers believed that if only Russia could be shorn of empire, with independent nations like Ukraine and Georgia choosing democratic futures with Western institutions, Russia would accommodate itself to a new Europe and seek to integrate with it. Meanwhile, many Russians viewed Western enlargement across Europe as a threat to their country’s ability to dominate the post-Soviet space, and Putin has been able to stoke nationalist fears to shore up political support. NATO enlargement, as Legvold notes, accomplished what its proponents and opponents believed it would. As proponents hoped, it provided security to countries that were historically insecure given their location. As opponents feared, enlargement fed the idea that the West was out to take advantage of Russian weakness by moving its military alliance closer and closer. We now have a standoff in Europe. Russia invaded Ukraine over fears of ‘losing’ the country to the West (and its invasion has now driven many citizens in Ukraine to want to move in that direction even more). The West responded by imposing sanctions and seeking to isolate Putin globally. A top priority was reassuring the eastern NATO allies through stepped-up sea and air patrols over the Baltic and Black Seas and the introduction of a new rotating rapid deployment force designed to send the message that NATO’s commitment to the Baltic countries and Poland is unshakeable. Russia has responded with military exercises and troop movements of its own. It looks like a classic security dilemma, in which the effort of one side to increase its security diminishes the security of the other, which then responds in kind. Legvold provides a number of examples where cooperation could benefit both sides, but when we look back at the relationship in recent years, it seems instead that a significant challenge has been the lack of substance in the dialogue between these two countries. During the Cold War, and particularly after détente, there was no shortage of issues on the table, starting with arms control. In the 1990s, the United States and Russia created a government-to-government process known as the Gore-Chernomyrdin Commission, led by U.S. Vice President Al Gore and Russian Prime Minister Viktor Chernomyrdin. Officials from bureaucracies across the board met to promote cooperative endeavors in a range of areas, from economic relations to nonproliferation to outer space. These efforts dwindled in the 2000s until President Barack Obama promoted a ‘reset’ with Russia in 2009. The two countries negotiated an arms control agreement—New Start—and collaborated with the other major powers to enhance sanctions on Iran in order to pressure that country into giving up its nuclear weapons program. Significant, but often little recognized, was the U.S. arrangement with Russia to create a corridor into Afghanistan for U.S. personnel and materiel. That agreement gave the United States an alternative to its otherwise sole path through Pakistan to reinforce its mission in Afghanistan. Without it, the likelihood of the mission to kill Osama Bin Laden getting the go-ahead would have dropped dramatically given concerns over the reactions of the Pakistani government. Legvold argues that Obama canceled his meeting with Putin in 2013 due to a lack of progress in U.S.-Russia relations and the added insult of Russia’s granting of asylum to former National Security Agency subcontractor Edward Snowden, but it is also the case that Obama knew the cost of skipping the meeting would be minimal given that there was so little on the agenda. The two sides were not working actively on a new arms control agreement nor was there any significant economic cooperation. They would have had little to discuss if they had held the meeting. Today, it would seem there is a lot to talk about given the events in Ukraine and Syria, but Legvold recognizes how far apart the two countries are in defining common interests. In the 1970s, a common interest that underlay the pursuit of détente was the fear that a crisis involving the two superpowers could escalate to nuclear war. There has been some fear that there might be an accidental incident between the two sides in Eastern Europe or over the skies of Syria, and so there have been efforts to prevent that from happening, but beyond those minimal efforts, officials in both countries, and certainly the two Presidents, seem to believe there is little reason for them to engage, even given a common interest in combating the Islamic State of Iraq and Syria (ISIS). Obama has sought to keep the United States out of the Syrian conflict as much as possible and has sought to keep the crisis in Ukraine contained to Ukraine. Putin militarily intervened in Syria in part for the same reasons he intervened in Ukraine: because he could and so that he would maximize his influence. While it would be nice to believe the United States and Russia have a common interest in quelling the violence in Ukraine and Syria, neither has given the impression that it is a top priority. The United States’ major goal in Eastern Europe is reassuring NATO allies, and Putin’s is controlling Ukraine. The United States’ top priority in Syria has been not getting involved in another Middle East conflict; Putin’s is to project power and influence. Legvold sadly notes that the chumminess of Presidents Bill Clinton and Boris Yeltsin has been replaced by scorn exhibited by Obama and Putin toward one another. It is hard to recall a time when the leaders of these two countries disparaged one another in such personal terms. Obama, whose reputation for staying cool is legendary, let Putin’s animus bait him into accusing the Russian leader of running his own country into the ground. Putin has been clear in his disdain for Obama and knew all along that he would outlast the American president. Is there any way for the two sides to get themselves out of this negative cycle of action and reaction? After all, in Europe, the two sides have defined their interests so differently, with the United States seeking across the past four administrations to expand the Western order east, while Russia seeks to undermine that order and sow discord across the continent. In the Middle East, the United States has been seeking to disengage where it can, whereas Russia has been looking to increase its power and influence across the region. In this regard, there is a tremendous deal of uncertainty surrounding the impact of the election of Donald Trump, who praised Putin during his campaign and signaled a desire to improve relations. If Trump defines U.S. interests differently, particularly in Europe, where he has disparaged NATO allies and might be open to explicitly recognizing a Russian privileged sphere of influence in the former Soviet space, Putin will jump at the opportunity. It would be one way to improve the relationship, but at enormous cost to a policy followed from George H.W. Bush to Obama to expand and strengthen the liberal order across Europe, and it would have been unthinkable prior to Trump’s election. And while it might lead to a thaw in the short-term, the underlying differences will not disappear. By the late fall of 2016, when this review was written, the relationship between the United States and Russia was the worst it had been since the early 1980s, and the relationship between its leaders was at its lowest point since Gary Powers’s U-2 was shot down over Soviet territory and created a crisis between Soviet Premier Nikita Khrushchev and U.S. President Dwight Eisenhower. It is not unreasonable for Trump to want to improve the situation, but rather than doing so by simply accommodating Putin, a great place to start turning things around is for top advisers on both sides to read this book and then begin to build the concrete steps outlined by Legvold to achieve cooperation. Some readers will agree with Robert Legvold—a steady, wise, and eloquent observer of the Soviet Union and Russia for some four decades—that Russia and the West, in particular the United States, are now mired in a new Cold War. Others will not be persuaded that using the (old) Cold War as a frame of reference provides critical insights into the current fractiousness between Russia and the West. But no one would deny that hostility now pervades the relationship between the two sides. In this pithy, perceptive, gracefully written book Legvold summons his vast knowledge and experience to tackle two questions: How did things get to this point? How can the damage be repaired so that Russia and the West can build a more productive relationship? Anyone interested in Russia would do well to read Return to Cold War with care. Though Legvold, clear-eyed as always, has no illusions about the myriad obstacles, he does believe that Russia and the West can extricate themselves from the current crisis, which, sparked, though not caused, by the war in Ukraine is more serious than any of its post-1991 forerunners. To understand the forces and players and defining episodes that produced the new Cold War, Legvold discusses it within the context of the original one, surveying the latter period of history from a high altitude but descending intermittently to make apposite, nuanced comparisons that offer color and insight—and a long, calm perspective that looks beyond events of the moment and eschews shrillness, something that does not abound these days. Legvold’s conviction that Russia and the West are once again mired in a Cold War constitutes his organizing theme and explains his choice of title. Yet the first half of the book, while providing a succinct, perceptive survey of the (original) Cold War, does not in the end succeed in demonstrating that the current fracas between Russia and the West can be better be understood by thinking back in time, to the Soviet era, or that doing so provides valuable lessons on how to make things better. None of these conditions obtains today. Legvold realizes this full well and indeed considers the differences between that Cold War and this one. But he nevertheless hews to his framework, pointing to the missed opportunities and the corrosive effects of fear, resilient stereotypes, worse-case thinking, and the cumulative and deleterious consequences of prior confrontations on leaders’ thinking and decisions as commonalities, seeking to illuminate the present by recalling the past. But the features of the Soviet-American Cold War that he singles out are discernable in many tension-ridden bilateral relationships of the present day: consider India and Pakistan, India and China, Iran and Saudi Arabia, Iran and the United States, China and Vietnam, or North Korea and South Korea. If ‘Cold War’ becomes but a synonym for ‘deeply troubled, crisis-prone relationship,’ Russia and the West are now in a situation not unlike that of many other states, and the latter too can learn from the Cold War. But if so, it is doubtful that the classic Cold War sheds special light on the present-day problems between Russia and the West or offers any distinctive remedies for resolving them. That is not to deny that there has been a serious, even dangerous deterioration in Russian-American relations. Each now speaks openly of the other as a major threat. Each bridles at what it sees as the other’s bellicosity, saber rattling, and expansionist bent and ambitions. Each believes that the other has created the current confrontation. But it was not always thus, Legvold reminds us. In the 1990s, leaders in Moscow and Washington brimmed with optimism. They spoke of jettisoning Cold-War shibboleths and building a partnership based on trust, a common conception of security, and shared liberal democratic values. At their February 1992 meeting, Presidents George H.W. Bush and Boris Yeltsin heaped praised on one another. Yeltsin exulted that Bush was a “really great political figure” and that he had been “tremendously impressed by his wisdom.” Bush, reciprocated, praising the Russian president as a “friend” for whom he had “a very warm feeling in [his] heart.” (88) The agreement they signed declared an end to the enmity between Russia and the West and a commitment to enduring cooperation. Before long, however, the road became far rockier, and Legvold identifies the milestones that marked the path to the bleak present. Putin blasted the 2003 American invasion of Iraq. The Russian leadership increasingly depicted NATO’s enlargement as an aggressive ploy to hem Russia in by extending the Cold-War alliance to its western borders. The Kremlin railed against the ‘color revolutions’ in Georgia, Ukraine, and Kyrgyzstan, which it did not regard as bottom-up protests produced by simmering discontent over authoritarianism and corruption but as American-engineered plots aimed at regime change, whose ultimate target was Russia itself. Russia attacked NATO’s plans for a missile defense system based in East-Central Europe—which was justified on the implausible grounds that it was required to prevent strikes by Iran—as a gambit to degrade Russia’s nuclear deterrent, which was itself a farfetched belief given the complexities of spotting and destroying numerous incoming warheads. If there was a definitive summation of the official Russian view, it was Putin’s speech at the 2007 Munich Security Conference, during which he denounced American foreign policy as hubristic, hegemonic, and even dangerous—all while Defense Secretary Robert Gates sat in the front row. Western, particularly American, assessments of Russia’s politics and foreign policy became darker following the 2008 Russia-Georgia war and did not focus on Russian foreign policy alone but also on the erosion of democratic freedoms in Russia and the strident nationalism of the media, much of which was by then state-controlled—trends that became particularly pronounced following Putin’s return to the presidency in 2012 for a third, non-consecutive term. By then, the Bush-Yeltsin bonhomie of 1992 —and the more recent conviviality between Putin and President George W. Bush in 2001 at the latter’s ranch in Crawford, Texas—had become wistful memories. Legvold guides the reader skillfully through these and other events. But he also, and aptly, emphasizes the positive achievements produced by Russian-American cooperation—for balance, and to show the importance of the relationship and how, when tended to wisely, it could accomplish considerable good. Thus, despite the bumps along the road, Moscow and Washington cooperated to achieve the denuclearization of Belarus, Ukraine, and Kazakhstan and to increase security at Russian fissile nuclear material sites under the aegis of the Cooperative Threat Reduction Program (CTR). In 2010, Presidents Dmitry Medvedev and Barack Obama signed the New START Treaty, which limited each side to 1,550 deployed strategic nuclear arsenals, a sharp reduction compared to the 6,000-warhead limit in the 1991 START I treaty, to say nothing of the 10,000-plus strategic warheads the United States and the Soviet Union possessed at the Cold War peak in the 1980s. Cooperation extended to other areas. In 2012, with American support playing an important role, Russia entered the World Trade Organization (WTO). A gaggle of Presidential Working Groups tackled workaday problems ranging from deforestation to the drug trade, though just how substantive their accomplishments were remains unclear. Many of these accomplishments are now at risk and, looking ahead, similar ones seem inconceivable. Russia quit the CTR in December 2014, in the wake of the Ukraine conflict. The United States suspended the Working Groups. NATO ceased “all practical civilian and military cooperation” with Russia in April 2014 as part of the larger American and European decision to use economic and political means to punish and isolate Putin’s Russia for annexing Crimea and backing separatists in eastern Ukraine. The alliance stated that consultations within the NRC would be continued at the ambassadorial level “as necessary” but to “focus first and foremost on [the Ukraine] crisis.” The differences proved unbridgeable, and the 2016 NRC meeting, the first in nearly two years, ended on a dismal note. Following the Ukraine war, NATO began beefing up its military preparedness in its eastern flank. Russia moved additional conventional forces toward its western borders and its fighter jets started harassing American reconnaissance aircraft and destroyers in the Baltic Sea naval exercises, aggressively and at dangerously close quarters. Each side blamed the other for engaging in provocations. Against this background, and the Ukraine war in particular, some Western pundits have hyperbolically likened Putin to Nazi dictator Adolf Hitler, while their Russian counterparts declare that the ultimate aim of the United States remains the instigation of revolution, indeed regime change, in Russia. Those who stride the corridors of power in Moscow and Washington can at least agree on one point: the relationship between Russia and the West has never been worse, will not improve anytime soon, and amounts to a Cold War—an assessment that has resonance among Russian and American citizens as well. Even Western experts who have differed vehemently on assigning blame for the new Cold War agree on the aptness of the moniker. And no Russian expert with a modicum of influence doubts that the United States bears sole responsibility. As he traces the pathway from promise to disillusionment, Legvold shows why two commonplace diagnoses are faulty. One avers that the problem is Vladimir Putin’s persona—Obama once remarked on Putin’s Cold War hang-ups—and the authoritarian system he has built, which requires chauvinism, threat-mongering, and power plays abroad to sustain itself. The second presents the Ukraine war as the essential catalyst, concluding that had it not erupted the Russian-American relationship would not be in its current state. Legvold persuasively shows the limitations of the it-all-Putin’s-fault thesis. It ascribes to Putin a singular, unrelievedly antagonistic attitude toward the United States and cannot in consequence explain important instances of Russian-American cooperation during the period in which he has led Russia. It glosses over the serious disagreements between Russia and the United States in the Yeltsin years. Worse, it offers up an elixir of self-pity and self-regard, which, if consumed, would induce a state of amnesia about the serious missteps of the United States and their contribution to the unraveling of its relationship with Russia. Yes, one can invoke theories, such as the ‘security dilemma’ to show that NATO enlargement exemplified the classic trap that rivalrous states fall into, with one seeing the other’s defensive moves as offensive and vice versa. But how exactly was NATO expansion essential to the security of the United States—Clinton-era officials were its architects—given that American power after the Cold War was so preponderant that “unipolarity” became a ubiquitous term among policy mavens? Legvold discusses NATO expansion and its ill effects on Russian-American relations perceptively but concludes that the new Cold War resulted from both sides’ failure to erect a new Euro-Atlantic security order that included Russia as a full, equal partner. This amounts to excessive evenhandedness. Russia, certainly in the 1990s, and arguably thereafter, may well have welcomed such a move given its antipathy to NATO’s eastward march. But Washington had no such inclusive scheme in mind; it focused instead on enlarging the alliance, Russia’s palpable unhappiness notwithstanding. Moreover, the states in East-Central Europe that pushed the hardest for enlarging NATO, notably Poland, wanted to exclude Russia, not to include it in a new pan-European security system. Seen thus, former U.S. Ambassador to Russia Michael McFaul’s claim that he never heard Putin raise NATO expansion with Obama during telephone conversations misses the point. Did the American President need reminders of Moscow’s firm, longstanding views on this subject? Besides, prior to Obama’s first visit—as President—to Russia in 2009, Putin, then Prime Minister, pointedly called on him to rethink the policy of expanding NATO. The failure to create a post-Cold War security system in Europe was a mistake, but not one for which blame can rightfully be apportioned equally. The other American foreign-policy decision relevant to U.S.-Russian relations that deserves special consideration is the Iraq War. It was a preventive (not preemptive) attack on a state, which, though led by a brutal dictator (albeit one with whom Washington saw fit to cooperate during the Iran-Iraq War, even as he was killing Iraqi Kurds, expelling them from their homes, and gassing them), posed no immediate threat to the United States. Moreover, Saddam Hussein’s capacity for mischief making could have been corralled—and had been—in many other ways. The 2003 decision to attack Iraq was legally questionable, to say the least, widely condemned as a result, and has proved to be an unmitigated disaster to boot. The 2011 intervention in Libya by a coalition of NATO and Arab states also shaped Russian attitudes toward the United States. Though authorized by the UN, and enabled by Russia’s abstention in the Security Council, it morphed from the originally mandated mission, protecting civilians, to partisan involvement in a civil war aimed at ousting Muammar Gadaffi. The Libya campaign too has left ruin and mayhem in its wake. Many Western commentators now portray Russia as a revisionist state, but the tandem of the Iraq and the Libya interventions fostered much the same view of the United States among Russians, leaders and the led. Legvold’s analysis of the Iraq and Libya ventures tends to be understated, perhaps because he is at pains to show that the onset of the new Cold War was a process to which both sides contributed. This is a laudable aim, and substantially accurate, but too much consistency can be distorting. Legvold also takes aim at the argument that the Ukraine war pretty much tells the story of how Russia’s relationship fell off the cliff. He makes a convincing case that the opportunities missed by both sides in prior years, the entrenched views left over from the Cold War, and the cumulative weight of past disputes had already taken their toll, not least because, aside from the lack of new Europe-wide security system, neither side had worked hard to develop a long-term vision of, let alone program for, cooperation that produced results important enough to help them to ride out rough patches. So when the 2014 crisis, triggered by the flight of Ukrainian president Viktor Yanukovych, hit, Russia and the West had not fashioned a robust relationship that each believed was worth saving. Putin’s land grab delivered the coup de grâce. Here Legvold might have added that in contrast to China, with which it has a contentious relationship, the United States simply does not attach critical importance to Russia. China may be a problem for Washington, but bilateral ties being so substantive and multifaceted and mutually beneficial, the downsides to disrupting them are massive and self-evident. Not so in the case of Russia, which does not have in American policymakers’ minds the significance that Legvold accords it. That he feels compelled to point out repeatedly why Russia matters is telling. During the Cold War, no expert would have thought it necessary to explain why the USSR mattered. Legvold cannot reasonably be expected to cover everything in a book that is under 200 pages, but he could usefully have devoted a few of them to discussing how domestic changes in Russia have contributed to, and intensified, the new Cold War. Those outside Russia who blame solely the West (and in particular the United States) skate over the deep and disturbing changes that have occurred within Russia (in its politics and society) and the degree to which Putin, especially since his return to the presidency in 2012, and other top Russian leaders have contributed to them, deliberately and systematically. I have in mind the emergence in Russia of a political narrative and an image of self and other freighted with self-righteous nationalism (tinged with xenophobia), a conspiratorial worldview, a siege mentality, and authoritarianism. One can debate how much these trends owe to internal versus external influences, but they are serious and worrisome and will make it even harder to change the course of Russian-American relations and Russia’s interactions with the West more generally—the more so if some version of this worldview sinks deeper roots in America. So what it to be done? Legvold has many sensible proposals—above all, an unofficial dialog, albeit with official backing, aimed at reimagining the Russia-West relationship by seeking a common understanding of where it should be a decade hence and what reasonably can be achieved—for getting past the present. But they all require changes in Washington and Moscow that have been nowhere on the horizon, though whether President Donald Trump’s admiration for Vladimir Putin will prompt a substantive change in American policy toward Russia bears watching. In my recent personal experience, Russian officials and experts have hunkered down, doubting that there will be a fundamental change in Russia’s relationship with the West anytime soon, Despite Russia’s economic troubles, they refuse to bow to the pressure of Western sanctions (whose promise has been vastly overrated) or the ignominy of isolation (Russia is not nearly as isolated as generally assumed) and are uninterested in engagement, let alone integration. Their refrain appears to be, ‘You have your path; we have yours.’ This attitude may be foolish and prove short-lived, but it bodes ill for any near-term movement to better times, not least because there seems to be no urgency in the United States, or indeed in Europe, to get there. Furthermore, the Russian leadership has found anti-Western nationalism useful for mobilizing support for the state, the more so in the tough economic times that have followed the plunge in oil prices. None of my disagreements with Legvold are meant to diminish achievement or the importance of this timely, elegantly crafted book. All good books provoke debate. This one has—and will. And without serious unfettered debate Russia and the West will never get to a better place. Robert Legvold is an extraordinary scholar with a long history of expertise in U.S.-Russian relations. He was a giant in the field when I was a young Soviet specialist, and in his latest book, he lives up to his reputation as one of the best Russia experts of our age. Return to Cold War is a careful, thought-provoking study that is helpful in understanding where the West and Russia stand today. It is also a timely reminder of the path that brought us here. Policymakers do not have the luxury of waiting decades for historians to do their work. In that sense Legvold’s book one of the best of its kind: a practical guide to a complex and pressing problem, grounded in historical knowledge and framed with perspective that comes only from a lifetime of scholarship. While I do not agree with all of the conclusions in this opportune book, officials on every side of the East-West divide would do well to soak in its insights. That said, I was troubled by two elements of the book. 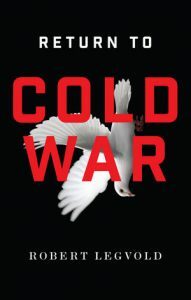 First, throughout this very good book, I found myself wishing that the current state of the U.S.-Russia relationship had not been framed as a new “Cold War.” While U.S.-Russian relations have undoubtedly entered a new and more contentious phase since 2014, using the term “Cold War” glosses over very real differences. This is not just a matter of semantics. At its core, the Cold War was ideological. The world was divided between two parallel systems in an existential, zero-sum conflict. The superpowers were locked in a nuclear standoff as proxy wars raged in far-flung corners of the globe. While there are shades of some of these dynamics in the current U.S.-Russia relationship, they are differences in degree that are better understood as differences in kind. Soviet leader Nikita Khrushchev said that the USSR would “bury” the West. Mikhail Gorbachev, the last secretary general of the Soviet communist party, brought an end to the Cold War by agreeing to end the ideological war, saying that class conflict had been replaced by the “Common European Home.” Despite its increasingly rogue behavior, Russia today is far more integrated into the international system than the Soviet Union ever was, and it remains reliant on its ties to the global economy. While President Vladimir Putin rails against Western values and encourages authoritarians in many parts of the world, this is a rivalry between two great powers. It is not two systems squaring off, engaged in a death match to define the course of human history. Every time I am in front of a class of undergraduates at Stanford, I am reminded that none were alive to see the Soviet Union collapse. The history of the Cold War is too important in its own right for it to be misunderstood. My second disagreement with the book centers on its analysis of the role of NATO in the current crisis. The argument is thought provoking—but ultimately flawed. The book suggests that NATO should have blocked efforts by Poland, Hungary, and the Czech Republic to join the alliance in the 1990s (98). The United States should have worked with Russia to establish a new pan-European security framework that would have included both sides and “solved the problem of the security vacuum in Central Europe” (100). This was “the only [framework], in all likelihood, that would have provided the underpinning preventing U.S.-Russian relations from experiencing the ups and downs that lay ahead” (101). Pulling off such a feat in the 1990s would have been much more difficult in practice—and perceived as far riskier by contemporary observers in the West—than the book suggests. Could more have been done to strengthen pan-European security arrangements under the auspices of the Organization for Security and Co-operation in Europe (OSCE)? Absolutely. But those steps should not have come at the expense of NATO. Given Russia’s uncertain trajectory after the Soviet collapse, how can we be assured that any security arrangements that would have been acceptable to President Boris Yeltsin in the 1990s would have remained acceptable to Vladimir Putin in 2014? We cannot. And it should not be forgotten that the West tried to bring Russia closer to NATO through the NATO-Russia Council and other arrangements. I can tell you from personal experience that the Russians simply never tried to make these arrangements work. But the main problem with the book’s idea about NATO is that it does not adequately account for the variable of democratization. NATO enlargement was the surest way to fill the security vacuum in Central and Eastern Europe, while also protecting the new democracies that were emerging there. At the beginning of the 1990s, the rationale for bolstering NATO remained strong, the process of enlargement was driven by the aspirations of potential member states, and the intensity of Russian opposition was not as clear. The book argues that discussions about NATO membership for Poland, Hungary and the Czech Republic “began bubbling in various quarters in 1993” (97). But the idea for their membership had been planted well before that: The elected leaders of those three nations, in the midst of transforming their countries into new democracies, convened to form the Visegrad Group in October 1991, stating that their main objective in coming together was to strengthen their ties to the EU and NATO, with an eye toward membership. They had seen that possibility come to fruition for the newly reunified Germany one year earlier, and thus the process of NATO enlargement had already begun by the time the Soviet Union fell apart. Even after the collapse of the USSR, however, it was far from clear whether the former Soviet republics would fully democratize or become much friendlier to the West, at least in the short term. Their leaders spent the first couple of years working to recreate a unified bloc in the form of the Commonwealth of Independent States, although they eventually abandoned their plans for a joint military command in 1993. In that context, as the topic of NATO enlargement rose on the agenda, Russia responded by sending contradictory signals about its position. Indeed, as NATO met for the first time with former members of the Warsaw Pact in December 1991, Yeltsin wrote to the Western alliance, saying that he viewed Russian membership in NATO as “a long-term political aim.” Then on a visit to Poland in 1993, Yeltsin said he “understands” Warsaw’s desire to join NATO. “It’s up to Poland to decide and up to NATO to decide,” he said. Russian officials and Yeltsin himself would later walk back those remarks and adopt a tougher line on NATO enlargement (in part due to the Russian military’s growing influence on policymaking with the onset of the first war in Chechnya in 1994), but in the West the mixed messages added to a sense of Russian ambivalence, at least in the early years, undermining arguments against membership for the Visegrad Group. Perhaps, as the book recommends, the United States and Russia could have come to an agreement on an alternative framework that would have allowed the countries of Central and Eastern Europe to associate with both sides, instead of aligning with only one (99-100). But the account of how this would work gives little if no weight to the people of those nations and their desire for self-government. If democracy was to survive and indeed thrive in all of Europe, how would that have been possible under the proposed framework? If Russia itself had continued to democratize, there may have been no reason for concern, especially if it had become a consolidated democracy. But a major disruption to the post-Soviet order, one rightly highlighted in the book, was Putin’s success in undermining any chance for Russian democracy while he remained on the scene. And as Russia became more authoritarian, it became more threatened by the progress of democracy on its doorstep. The color revolutions in the former Soviet republics were more alarming to Putin than NATO enlargement in Central and Eastern Europe. In that sense, the book’s otherwise illuminating discussion of how U.S.-Russian relations cratered, and how that downturn could have been prevented, overlooks an important factor: the agency of the European nations seeking NATO membership. The pro-democracy leaders in these countries were elected by constituencies that favored closer ties with the West. Since NATO has always been more than a security framework—it has been an alliance to protect the freedom of its member states—it is no surprise that newly democratizing countries on its border would feel an affinity toward it, especially as Russia’s experiment with democracy started to sour. Under the book’s proposal, the status of countries like Ukraine, Georgia, Belarus, and Moldova would have been determined by negotiations between the United States and Russia (111). But the “Yalta” approach—negotiations over the future of peoples without their consent—should never be repeated. When countries have democratized, their people can and must have a say in who their friends and allies will be—and how to secure themselves in the future. Now that we know the depths of Putin’s ambitions and the redlines he is willing to cross, it is a source of relief that Poland, Hungary, the Czech Republic, Slovakia, Slovenia, Romania, Lithuania, Latvia, and Estonia and others are all safely ensconced within the NATO alliance. We are not today scrambling to debate how to protect them outside of NATO. Whatever the possibilities in the 1990s, those countries are grateful for the Alliance’s protection in 2017. So how did relations deteriorate so badly? That is an important question with no easy answer. But it is worth remembering that the relationship was in good shape for a very long time—even with Putin in office. The George W. Bush Administration worked with Russia on areas of common interest, and with considerable success, from the Moscow Treaty of May 2002 to the Strategic Framework declaration of March 2008. After 9/11, Russia and the United States developed excellent coordination and cooperation against terrorist threats—and Russia helped immensely in supporting the overthrow of the Taliban in Afghanistan. The two Presidents jointly created the Proliferation Security Initiative to track illicit nuclear materials and interdict them. They proposed, without success, a nuclear fuel bank to remove the incentives for countries to enrich and reprocess nuclear fuel. Together the two countries helped to create the Six-Party Talks to deal with North Korea’s nuclear program (consisting of China, Japan, North Korea, South Korea, Russia, and the United States) in 2003 and the P5+1 (China, France, Russia, the United Kingdom, the United States, plus Germany) for negotiations with Iran all the way back in 2006. The bilateral strategic dialogue (mentioned on page 141 of the book) was not the locus of engagement in U.S.-Russian relations. Rather, Presidents Bush and Putin and key high-ranking officials—including myself as National Security Adviser and Secretary of State—worked to find common ground on a host of issues through constant contact and discussions. That relationship worked well right up until the conflict in Georgia in August 2008. And even after, the two leaders found ways to talk about important problems—most especially the global financial crisis of late 2008. It is fair to say that Putin’s first presidency (2000-2008) was far tamer than his second (2012-present). To the degree that he has been emboldened by an inconsistent response to his many provocations, he must now be met with consistent strength. Bob Legvold makes a number of very good policy recommendations toward the end of his book. Whatever the specific steps, it is absolutely the case that the United States and Russia need to have a workable relationship. A solution for the Syrian tragedy; a way to stop North Korea’s dangerous nuclear ambitions; and the defeat of ISIS and Islamic terrorism all demand cooperation with Moscow. I believe that a basis for a functioning U.S.-Russia relationship can be found. But it has to be based, in close consultation with our allies, on both our interests and our principles. That means remaining steadfast in defense of our Article V commitments under the Washington Treaty; continuing to press for a more humane and democratic Russia; and never losing sight of the link between our collective security and our common values. “At the very heart of the new Russia-West Cold War, Russia, the United States, and its NATO allies are returning to the defining feature of the original Cold War: a militarized standoff over the future of a divided Europe. This time it has moved to the East, to the edge of the former Soviet Union, and in more fraught circumstances, because the contested zone-the new lands between—is politically volatile and suspended between the two sides, not divided between them” (53). Some would dispute the Cold-War terminology. After all, the United States and Russia are no longer military rivals engaged in global competition because America is militarily far more powerful than Russia. Russia no longer seeks to impose its distinctive ideology globally. Moreover, Russia, unlike the USSR, is now integrated into the global economy and sanctions imposed on Moscow also hurt the West. Nevertheless, the current standoff suggests a Cold War 2:0. NATO and Moscow face off against each other militarily in Russia’s neighborhood and have experienced near-misses in the air and sea in the Baltic region. Russia under President Vladimir Putin has adopted an ideology that stresses Russian exceptionalism and contrasts Russia as a conservative, status quo international power as opposed to the revisionist West with its ‘decadent’ belief system and abandonment of traditional Christianity. State-run Russian media provide a daily diet of invective against the West and its fifth-columnists inside Russia. More recently, Russian commentators and officials have begun to speak about the possibility of a third world war and the legitimacy of limited nuclear war. Such rhetoric was virtually unknown in Cold War One. New elements of competition, particularly in the cyber area, also heighten the possibilities for unanticipated confrontation. How did we arrive at this point? Legvold details the very different narratives that both sides have about what went wrong. Both blame each other for not adhering to agreements that were made when the USSR disintegrated. Russians and their supporters in the West blame the decision to enlarge NATO to former Warsaw Pact countries and the Baltic states for the sharp deterioration in relations, claiming that this violated promises made to Gorbachev at the time of German unification and threatens Russian security. In fact, no such promises were made at that time, but this contention has now become part of the accepted wisdom about who is guilty. The real problem lies much deeper, however. The United States and Russia have fundamentally different ideas about what a productive relationship would look like. They disagree on what constitute legitimate security interests in Europe. Their approaches to issues of sovereignty, security, and the forces that underlie the search for global order diverge considerably. Russian attitudes predate the Soviet era and derive from the Tsarist concepts of sovereignty and security. Russia today defines its security perimeter as the borders of the former Soviet space, not the borders of the Russian Federation. Putin has on several occasions said that there are only a few truly sovereign states: Russia, China, and India. Even the United States is not truly sovereign because it has allies who limit its freedom of maneuver. Smaller states, in the Russian view, must necessarily have limited sovereignty because the great power in whose sphere of influence they lie must limit their foreign policy freedom of maneuver to safeguard its security. In September 2015, Putin praised the Yalta system and advocated it as a model for avoiding future conflicts. Moscow believes that the United States and Russia should seek once again to divide Europe into spheres of influence, thereby guaranteeing Russian security. Since 1991, the West has pursued very different goals: encouraging self-determination for former Soviet-bloc countries and the post-Soviet states and seeking to strengthen their independence and their right to choose their foreign policy orientation. NATO membership was viewed a part of the process of encouraging Central and Eastern Europe to modernize and move toward functioning democracies with the rule of law. Integrating into the European Union was a more cumbersome process and the leaders of Central and Eastern Europe actively sought NATO membership in the 1990s. The West has consistently rejected the Russian demand to recognize that Moscow has a ‘sphere of privileged interests’ in the post-Soviet space. The result of these fundamentally opposed concepts culminated in the Russian annexation of Crimea in March 2014 and the subsequent launch of a war in Southeastern Ukraine in which at least 10,000 people have died. Could it have been otherwise? Should the West have dismantled NATO and started from scratch in 1992 to establish a pan-European security system in which Russia would have had an equal say in setting the agenda? This would have given Moscow a sense of agency during the chaotic period after the Soviet collapse. At the time, this option was not seriously considered in the West because there were so many unknowns about how Russia would develop and the West faced other challenges. The net result, as Legvold shows, was that the West was unable to create a Euro-Atlantic security architecture in which Russia had a stake. The NATO-Russia Council, which was created in 2002, failed to provide Moscow with a sense of agency and has never functioned well. What can be done to reverse this new Cold War? Legvold stresses the importance of resuming a high-level, strategic dialogue and to refocus U.S. interests to acknowledge the imperative of prioritizing ties with Moscow. Two major issues have dominated the U.S.-Russian relationship since 2014: Ukraine and Syria. The situation in the Donbass region remains fragile. The Minsk process involving Germany, France, Russia and Ukraine that seeks to resolve the crisis is deadlocked, with Ukraine and Russian blaming each other for failing to fulfill their part of the agreement and sanctions imposed on Russia will remain in place for as long as these issues are not resolved. In Syria, Russia’s goal is to ensure that President Bashar al’Assad remains in power and its military campaign in Aleppo is designed not to combat Islamic State fighters, but to flatten the city and ensure that Assad predominates in the Western part of the country. The Western goal has been find an alternative to Assad, conclude a viable ceasefire, provide humanitarian assistance, and to fight Islamic State terrorists and their allies. Secretary of State John Kerry and Russian Foreign Minister Sergei Lavrov have worked together to achieve some of these goals, but their efforts have so far failed. Legvold suggests that a high-level dialogue should begin with less sensitive issues, such as engaging in a discussion of Northeast Asia. Since Legvold’s book was published, the outlook for U.S.-Russian relations has changed. Donald Trump’s victory suggests that the United States will revisit the relationship with Russia. Throughout the Presidential campaign, Mr. Trump praised President Putin as a strong leader and promised that a priority for him as President would be to meet with Mr. Putin and work out a ‘deal’ to resolve all the major issues, forging a joint partnership to fight Islamic State. He has indicated that he believes that Crimea belongs to Russia and has criticized sanctions. He has also called into question the utility of the NATO alliance. On the face of it, 2017 could be the year when the new Cold War begins to end. Nevertheless, one must question what the nature of a ‘deal’ would be. If one speculates about the nature of a deal, it might involve the U.S. lifting economic sanctions, informally recognizing that Crimea is part of Russia and that Ukraine will remain neutral. A Trump administration would surely also eschew the democracy-promotion efforts in the post-Soviet space that have so irked the Kremlin. What would Russia give in return? Withdrawal from the Donbass? A military pull-back from the Baltic area? If the United States and Russia were to agree that President Assad will remain in power and that they will join together to fight ISIS, would Russia really change its current policies in Syria? Legvold’s call for re-engagement with Russia raises questions about Russia’s willingness to respond to U.S. overtures and on what terms. Confrontation with the West has become an essential tool for legitimizing the Kremlin’s rule, its restrictions on freedom of expression, and its lack of economic reform. To what extent could it change its domestic narrative that criticizes the West without jeopardizing its popularity? The new Cold War may well be a product of policies that both sides have pursued, but the current level of confrontation is largely the result of actions that Russia has taken in the past two years. As an experienced businessman, President-elect Trump presumably understands that a deal is only acceptable if both sides gain from it. Legvold’s sobering book leaves the reader asking whether the transactional relationship that a Trump presidency would pursue would be sufficient to move Washington and Moscow beyond the current Cold War. All four reviewers of Return to Cold War are extremely gracious and generous in their comments. And I am grateful for the care they took in reading the book and how thoughtfully they responded to it. They have their differences with the book’s arguments, some of them fundamental, and these create a good basis for pushing the discussion deeper. In attempting to do my part, let me focus on three sets of issues that emerge from the four reviews: How to capture what has happened to the U.S.-Russian relationship and whether or not the concept of ‘cold war’ helps in this; how the relationship reached this point of decay; and how the two countries might dig themselves out of the hole, considering the obstacles they face in doing so. One of my principal objectives in writing the book was to offer a standard for judging how deep, durable, dangerous, and potentially costly to each country’s foreign policy, and to the peace and stability of the international setting, the standoff is or may become. Without having a way to represent the nature and scale of the collapse in relations, one is left without a realistic sense of the obstacles to escaping it, as well as without a full appreciation of the price that will be exacted the longer the impasse lasts. Of the frameworks available—balance of power politics, enduring rivalries, great-power strategic rivalry, or the security dilemma, even Robert Jervis’s notion of a deep security dilemma—the original Cold War, in my view, contains characteristics that most comprehensively and incisively capture the depth of today’s deterioration. James Goldgeier, in his review, deals most accurately with the five that I identify, and appears to take them on board. Rajan Menon, in an extremely thoughtful and generous review, disagrees. He maintains that they could be said to mark any “deeply troubled, crisis-prone” relationship. I think not. Yes, in many antagonistic relationships, each side often blames the other almost exclusively for the trouble, but in the Cold War—indeed, during its early, intense phases—as now, the blame was and is not merely because of the other side’s behavior, but because of its nature—a phenomenon that I call ‘the essence of the problem is in the other side’s essence’. Similarly, in the Cold War, as now, the two sides persuaded themselves that the source of the tension was and is not merely conflicts of interest, but rather a conflict of purpose. Then as now each did and does assume that things cannot change fundamentally, until fundamental change occurs either in the basic thrust of the other side’s foreign policy or in the underlying political forces generating it. And so on. I stress these five qualities not so much to point to their uniqueness when taken together, although unique they are, but to underscore how deep the hole is that the two sides have dug, and how formidable the barriers will be, if and when they wish to choose another path. That, however, still leaves two basic objections to comparing the present situation with the Cold War. The first and most regularly cited of these has it that the dissimilarities between then and now vastly outweigh any similarities—so much so, that the discrepancy destroys any point to citing the similarities. Condoleezza Rice, in her review, makes the case eloquently. None of the five of us—indeed, no sensible person—fails to recognize the fundamental ways in which today’s U.S.-Russian conflict differs from the one between the United States and the Soviet Union. But a closer look at those differences raises some interesting questions. For example, a competition that engulfed and then shaped the entire international system, as did the Cold War, obviously contrasts with a bilateral competition unfolding within an existing, if mutating system. But to hold that the different consequences of each distinguishes the first and diminishes the second is roughly akin to saying the same of the obvious contrast between the consequences of World War I versus those of the Vietnam War or the Iraq War. I make this point, because a second central purpose of the book is to draw attention to what I believe to be the immense and to this point largely ignored consequences of the collapse in U.S.-Russian relations. Both academic IR theory and the popular mind err when they reduce what counts to the basics of material power, and still more so its distribution, among states. Indeed, by the metrics of comparative GDP, defense spending, and a country’s role in the international economy, Russia remains vastly inferior to the United States. Combined with a now troubled economy and the failure to reform, Russia, in the bulk of Western analysis, comes off as a declining power—a trouble-maker, but a manageable one, if the United States and its allies will only pull up their socks; certainly not a missing partner with whom, for perfectly self-regarding reasons, the United States needs to cooperate. In fact, however, Russia is critical in at least five spheres key to the peace and stability of an evolving twenty-first century international order. Whether in each sphere the U.S.-Russian relationship is one of cooperation or rivalry will be decisive in determining the outcome in all of them. The first arises from the growing complexities and dangers of what is no longer at core a bipolar but now a genuinely multipolar nuclear world. At the moment no government measures up to the challenge, but if leadership is to emerge, it will have to come from Russia and the United States—and eventually China—not merely because Russia has the other half of 92 percent of the world’s nuclear weapons, but, because the large scale modernization of all aspects of both countries’ nuclear forces now underway will, if it becomes fuel in a new cold war, make the larger challenge all the more intractable. Second, what happens in the Eurasian core (basically the former Soviet Union) and its turbulent interaction with the concentric circle surrounding it will do more to determine how unsettled the international setting will be over the next twenty years than any other portion of the global map. And no country will more affect how that turns out than Russia—for three reasons any real estate agent understands, location, location, and location. Third, and closely related, a European security picture that, in the first two post-Cold War decades, had seemed at last mercifully calm and predictable is again ruptured by a new remilitarized central front cutting across politically unstable territories. Russia, here too, will have an outsized influence over whether this descent continues or, alternatively, can be turned back on to the path of building the forms of Euro-Atlantic security cooperation that U.S., European, and Russian leaders swore to build as late as the Organization for Security and Co-operation in Europe (OSCE) heads-of-state meeting in Astana in 2010. Fourth, whether the U.S.-China relationship veers toward fundamental strategic rivalry or maintains an unsteady balance between cooperation and competition will decisively shape the future geostrategic landscape in the Asia-Pacific and, thus, the global system. No third country—not Japan, not South Korea, not India—will be more of a complicating or a constructive factor in that evolution than Russia. And, fifth, whether the world’s newest major hydrocarbon frontier—the Arctic region—remains as until now an arena of basic cooperation among the five littoral states or is swamped by security concerns and increasing military competition will depend on the dynamics between Russia and the other four. In short, as William Burns, the former Undersecretary of State, said in a 2009 speech, “Russia matters.” Russia matters a lot. But so too does the United States to Russia. Every bit as much. Russian President Vladimir Putin and those around him know that, however much it pains them to say so. The problem is that they have resisted acting on that reality, and instead have allowed lesser discontents and preoccupations to guide their actions. The importance of each to the other in the face of the major challenges each will confront in the next quarter century, whatever their current myopia, is why Return to Cold War is addressed to both sides, and why I dare to offer the strategic agenda outlined in the last chapter with the conviction that, while politically impossible at the moment, it does stand a chance over the longer run. Or take the distinction introduced by the deep ideological divide during the original Cold War. Indeed at the height of the Cold War, when the two sides saw the competition as a struggle over whose political and economic system would prevail in the wider world, it may have appeared to be, as Rice writes, “a death match to define the course of human history”—certainly not what one could say of the current confrontation. But, in this case too, things are not simple. Thus, if at some stage the original Cold War was “an existential zero-sum game,” again citing Rice, well before it ended—indeed, arguably in the decades after the 1962 Cuban missile crisis—as the ideological impulse atrophied, corrupted by a system in decay, the contest had turned into something far less dramatic. More to the point, the narrative that Putin and the regime have come to embrace and that Angela Stent well describes as stressing “Russian exceptionalism. . . and Russia as a conservative, status-quo international power as opposed to the revisionist West with its ‘decadent’ belief system and abandonment of traditional Christianity” may be an adequate stand-in for the role ideology once played. Two Russians, one a senior official and the other a prominent analyst, have said to me that they fear that the story Russians are telling themselves, because it is vital, will be more damaging than an ideology that in its last years had died. True, at this level, an alienated Russia is not the equivalent of an ideologically hostile Russia, but that will change, if, as many U.S. analysts contend, Russia is determined to upend the existing international order and prepared by any means available to abet anti-democratic elements and governments to this end. If either is deep-seated—either a Russia alienated from the West long into the future or a Russia as a “revolutionary” power, in former Secretary of State Henry Kissinger’s sense when characterizing Napoleonic France in A World Restored—while the four reviewers are kind not to make the point, much of my book is badly off the mark. I do not pretend to have the answer, but until clear evidence to the contrary emerges, I suspect Russian “alienation from the West” represents, in uncertain parts, a combination of a political instrument useful to the regime and a sentiment that, for now, does genuinely resonate with the political elite as well as the public. If so, this is a concatenation that would likely change substantially were the atmosphere of U.S.-Russia relations to shift substantially. Similarly, Russia’s increasing interest in radical anti-democratic fringe groups in Europe and readiness to use active measures, such as the cyber hacking in the U.S. presidential election, strike me as being more strategic or perhaps merely tactical than driven by a vision of an alternative world. If so, strategy and tactics change with the changing requirements and opportunities presented to policy. These are all fair concerns, but, when I stand back from them, they grow less compelling. With respect to the first, I fear far more that we are underestimating, rather than overestimating, how serious the deterioration and its consequences are. As for the second, while both governments have all along denied that they are in a new Cold War, they have acted increasingly as though they were. And in terms of the third, provided one does not draw simple or inapt parallels with the original Cold War, no reason exists that one cannot distinguish the new and quite different challenges produced by this collapse in relations. Goldgeier, Menon, and Stent, in their own terms, skillfully trace the descent. Rice, quite appropriately, reminds us of how long and often, even when things were going wrong, the two sides managed to cooperate on important issues. These two sides of the story evoke two central questions: how did the two countries, more than two decades after the end of the Cold War, find themselves so deeply in the ditch? And over this interim why were they never able to escape the ups and downs—the repeated cycle of hope and progress followed by frustration and increasing tension—and build a more stable and predictable relationship? As I thought about this history, and with the advantage of hindsight, the answer to both questions, it seemed to me, resided in a single factor, one that I overlooked at the time and so too, I believe, did national leaders on the two sides. From the beginning, beneath the surface of optimism-tinged activities and seemingly surmountable buffetings, malignant seeds were already planted. Over the next twenty years, through each subsequent stage, these seeds grew, until in one powerful eruption in the Ukrainian crisis, they tore the relationship apart. These seeds incorporated a mix of noxious elements, such as at the outset Russia’s unease over U.S. and European initiatives in the post-Soviet space (other than in Russia itself), its suspicion and resistance to U.S. and NATO actions ‘out of area,’ particularly in a disintegrating Yugoslavia, and the fitful and corruption-laden transition within Russia. At each stage that followed, these seeds, and others added to the mix, matured into ever more damaging threats to the relationship: the aversion to the U.S. role in the post-Soviet space evolved eventually into Russia’s fury over the ‘color revolutions;’ the resistance to U.S./NATO actions in the Balkans, into ultimately the poisonous notion that the United States with selected allies was hell-bent on forcing ‘regime change’ wherever it chose without regard to consequences; and the deformed character of the political and economic transformation underway in Yeltsin’s Russia, into the burden that Russia’s retreat in the Putin era into repression and illiberalism imposes on the relationship. Leaders on both sides, as they struggled with the rush of events and focused on the immediate issues at hand, appeared to give little thought to the malignant seeds converging and swelling beneath the surface. Had they, beginning in the Clinton-Yeltsin years, the interesting question is whether they would have given higher priority to mitigating the effects of these deeper flowing destructive forces, altering in the process the way they were going about the issues they did choose to address. Failing to do so, however, meant that the course of U.S.-Russian relations over the post-Cold War period looks like a sine graph, with the amplitude of the negative wave enlarging and the positive wave shrinking, and the axis tilted downward. In the Ukrainian crisis and since, the undulating curve simply dropped off the graph. Before then, whatever progress was achieved in any period ultimately succumbed to the dead weight of the untended growing mass of discontent eroding the base of the relationship. At this deeper level, the decision to enlarge NATO constituted one of the most important of the malignant seeds. (Saying so is not to dismiss the decision judged by other criteria, such as the resolution of a historically wrought Polish-German relationship or the impulse given to democratic reform in NATO’s new members.) Menon and Rice, for opposite reasons, are critical of the way I formulate the issue in the book. I accept the rationale of both the proponents and opponents of the decision, but argue that this misses the larger—indeed, historic—mistake made by both sides. Their error was in failing to exert the effort necessary to build the inclusive Euro-Atlantic security regime from ‘Vancouver to Vladivostok’ that leaders in Moscow, Washington, and European capitals swore they were committed to building in the Charter of Paris for a new Europe in 1990 and then every few years thereafter in a variety of settings. The necessary effort would have required on the Russian side a conscious willingness to feature steps calming the predictable anxieties of Russia’s new neighbors—that is, a strategy of reassurance, rather than one of coercion—and on the Western side a serious commitment to the arduous task of fashioning arrangements and institutions that met the security concerns of both the new ‘lands in between’ and Russia. Menon criticizes my contention that “the new Cold War resulted from both sides’ failure to erect a new Euro-Atlantic security order that included Russia as a full, equal partner” for being “excessive[ly]” evenhanded. He accepts that the failure was in selling short an alternative and more inclusive architecture, but lays the primary blame on the United States and its European allies. Rice, in contrast, objects to my formulation on three grounds: first, that “pulling off such a feat in the 1990s would have been much more difficult in practice” than I realize; second, that forgoing the option of bringing the East European states under the NATO umbrella entailed risks, considering what Russia under Putin has become, that Western leaders were right not to run; and, third, that NATO enlargement was both an important means of promoting democracy in the states seeking admission and a right that the Western powers could not legitimately deny to their pro-democratic leaderships. My response in both cases is fairly simple, with one exception. To Menon, even if one agrees that the West bore more of the responsibility for failing to achieve an effective pan-European security system—say, because it operated from a position of strength and had the initiative—even the most earnest effort on the part of the United States and its allies would have failed had Russia not acted equally vigorously to make that everyone’s preferred outcome. In response to Rice’s argument, I understand the reluctance of leaders at the time to run risks faced with the unknown (although the Clinton and Kohl leaderships went to great lengths to persuade Yeltsin and colleagues that NATO enlargement was not an insurance policy against a recrudescent Russian threat, and presumably meant it). But in retrospect it is at least arguable that NATO enlargement and its drawn-out sequel led in tangled fashion to precisely that outcome. The desire for NATO membership doubtless did aid democratic progress in these states, although the lion’s share of the credit belongs to the European Union and the stringent requirements of the acquis communautaire—as it is today the EU that struggles to maintain democratic standards when states, such as Poland or Hungary, begin to stray. On the argument that, if the West respects the right of self-determination of democratically elected governments and these governments wish to exercise that right by joining NATO and are qualified for membership, it is not for the West to deny them, I would respond that for me, the alternative argument is equally persuasive: who gets in is the prerogative of those whose organization it is, and they are entitled to set their own criteria for deciding. Rice’s other critique seems to me more telling. Doing what I say that all should have but failed to do would, indeed, have been hard. Given the many different near-term pressures U.S. and European leaders were under as they struggled to find their way in a new post-Cold War era complicated by a future that remained opaque, it may be a political pipedream to imagine that they would think beyond the immediate, the doable, the limited. Even more, given the psychological and political pain of adjusting to the loss of empire and a natural instinct to favor sticks over carrots, it may be fantasy to assume that Russian leaders would be capable of dealing with those who were once under its thumb in generous and reassuring ways. Odds are this was the case, and my argument is based on a low-odds prospect. That granted, (a) this does invalidate the argument historically or (b) address what might be said about and learned from what followed. There is a difference between failing to understand what might happen after NATO enlargement and failing to weigh properly what did happen. At each subsequent stage—the Kosovo War, the faltering Conventional Forces in Europe agreement, the European missile defense issue, the April 2008 Bucharest pledge, and the Russian intervention in Georgia in August 2008—Moscow and Washington either did not fully grasp the depth of the mistrust cumulating around the NATO issue or saw each clash as one-off—each a challenge that could be overcome or minimized. The tendency on both sides was to paddle hard through the choppy waves above and ignore the strengthening undercurrent below. While the notion that U.S., European, and Russian leaders should have striven to fashion the pan-European security system that they promised to create, rather than, in the U.S.-European case, substituting an expanded West European security system may be a reach too far, expecting them to have addressed more directly and effectively the consequences of that decision seems to me less fanciful. That would have entailed, for example, creating the NATO-Russia Council (NRC) as part of the 1997 Final Act, rather than the dead-on-arrival Permanent Joint Council, and then investing more in key NRC working groups; greater efforts on all sides—including NATO’s new Baltic members—to salvage the adapted CFE treaty; and more attention on the part of the EU and Russia to finding ways of reconciling their dueling integration projects and less to feuding over the EU’s Third Energy Package, the Energy Charter, and visa-free travel. It would also have involved avoiding missteps, such as the decision at the 2008 Bucharest NATO summit to issue, in lieu of a Membership Action Plan (MAP) for Georgia and Ukraine, the promise that “these countries will become members of NATO,” and the decision to suspend the NRC in the wake of the August 2008 Georgian War. Each step of the way would have required that both sides adopt a longer and broader perspective rather than yield to the narrower calculations that guided their actions. That is now water over the damn, but the as yet unlearned lesson in all this is central to the future. Unless in the next phase of U.S.-Russian relations, national leaders and the teams supporting them on both sides are willing, when focusing on their immediate concerns and frustrations, to bring a longer-term, deeper, and more broad-minded perspective to them, working out of their current rut or avoiding cutting it still deeper will be very slow going. We would do well to think seriously about what could go very wrong over the next 25 years—not to titillate the imagination, but to make ourselves aware of signposts warning us should we be headed in that direction. There is, of course, no small number of ugly scenarios that one might conjure from the way disturbing tendencies in our own day could grow and then come together in a final spasm of trouble. But one that seems scarcely far-fetched, were key relationships to be mismanaged, would be the return of great power strategic rivalry. Were the U.S.-China relationship to spin off in this direction, with each defining the other as a primary security threat, concentrating its military effort on the other, and arranging alliances against the other, while at the same time the U.S.-Russian Cold War deepened and brought to full flower the incipient strategic rivalry already present, the result would be a world very different from the one we have now, fraught as it is. Even a world in which, if that were the case, “The reality is that our relationship with Russia will remain competitive, and often adversarial, for the foreseeable future. . . [because] at its core is a fundamental disconnect in outlook about each other’s role in the world,” the price will be high. Rather than U.S.-Russia leadership or more broadly Russian cooperation with the Western powers in dealing with the great global challenges of the twenty-first century, including, in particular, the five crucial spheres that I identified earlier, the world will be treated to a constant swirl of strategic maneuvering around whatever disruption events produce, relieved only by momentary cooperation on a confined number of relatively narrow issues. On the chance that this need not be the case, I conclude the book with thoughts about what the two would need to do to take a different path. They involve two intertwined ideas: first, that each does what it has not done to this point—that is, integrate its response to short-term policy imperatives [e.g., dealing with Ukraine, Syria, an Intermediate-Range Nuclear Forces Treaty (INF) agreement under threat, etc.] with longer-term goals (e.g., where in specific, realistic terms it would want key dimensions of the U.S.-Russian relationship to be eight or ten years from now). Second, each alone and then together would design a workable agenda—in the book I suggest four areas that correspond to the five key spheres where the U.S.-Russian interaction is critical—that does justice to the large stakes that the two have in the relationship. The four reviewers, in varying detail, accept aspects of this agenda, but each quite rightly notes what stands in the way. None, however, begins with the paralyzing assumption that underlies all-too-much of U.S. analysis—including in the policymaking community, the Congress, the media, and the expert community—that nothing approximating the ambitious agenda laid out in the book has a chance, because of the nature of the other side. Indeed, if one accepts that Russia’s bad behavior has little or nothing to do with external factors; that it is driven by the political requirements of a corrupt and authoritarian regime (the need for an external enemy to justify internal repression; the use of “foreign conquest” as a “distraction and substitute” for domestic economic failure; and the determination to thwart the development of democracy anywhere near Russia borders for fear of its contaminating effect within Russia), then imagining sustained U.S.-Russian cooperation in dealing with the large challenges I emphasize is nonsense. This, however, seems to me an unproven and, more important, an untested assumption. Testing it, I contend, raises no great risk to the United States and the West more broadly, because the United States and its allies hold a vastly stronger hand were the threat that Western leaders see in recent Russian actions to be but the prelude to further and far more aggressive moves. However, if Russian actions—even the most aggressive among them—are the product of a complicated mix of misperceived threats, tactical opportunities, a deepening store of mistrust, and a determination to force others to treat Russia on its own terms, and if with skillful U.S. policy these layers could be peeled back, the risk would seem worth running. Running it could start simply as the goal Rex Tillerson, the incoming administration’s nominee for Secretary of State, claimed would be his in his Senate confirmation hearings: to move the U.S.-Russian relationship to one of “a partner sometimes,” rather than “an adversary always.” That in turn makes resuming a broad and basic dialogue with Russia over each side’s concerns and expectations imperative. It also means broadening the agenda beyond the preoccupations that roil the relationship, and gingerly testing the kind of conversation the two can have over the hard challenges in the five spheres that I emphasize. And it suggests restoring the severed contacts in mutually beneficial forums—the NATO-Russia Council and its working groups as well as the twenty working groups under the U.S.-Russia Bilateral Commission. Provided that Russia seizes the opportunity and reciprocates in all four respects—and only in that case—the test may hold surprises for those who have written off Putin’s Russia. Still, that leaves the obstacles well-discussed by Goldgeier, Menon, Rice, and Stent. These start with a point made by both Goldgeier and Menon: beyond “minimal efforts,” to borrow Goldgeier’s words, “officials in both countries, and certainly the two Presidents, seem to believe there is little reason for them to engage.” Menon’s version is that “in contrast to China, with which it has a contentious relationship, the United States simply does not attach critical importance to Russia.” The failure to assess properly the stakes that each country has in the relationship, I would argue, has been at the heart of the problem from the very beginning. Without a real sense of the stakes, neither side has had a compelling reason to expend the extra effort required to contain the deterioration. I do not know what will change that. Perhaps voices that raise their eyes to the looming challenges each faces, if these voices grow in number, can chip away. More likely, alas, only when things go seriously wrong in one or more of these areas will the countries begin to realize how much they need a durably constructive working relationship. Menon expresses a concern that the other three reviewers appear to share and that represents a second key obstacle to rerouting the U.S.-Russian relationship. He notes “the emergence in Russia of a political narrative and an image of self and other freighted with self-righteous nationalism (tinged with xenophobia), a conspiratorial worldview, a siege mentality, and authoritarianism.” Stent adds that “confrontation with the West has become an essential tool for legitimizing the Kremlin’s rule, its restrictions on freedom of expression, and its lack of economic reform.” They have a point. Until the Russian leadership risks trusting in a less crude and bilious view of the United States or, to the extent that its anti-Americanism is a tool, finds less reason to use it, any U.S. constructive initiative will fail to gain instant traction. Progress will only come, if together, the two sides cautiously begin taking steps allowing them to pare back the thick layers of mistrust built up over the years and with alarming speed in their new Cold War. On the U.S. side there remains a final major obstacle to an improved U.S.-Russian relationship, although not one any of the reviewers feature. Among observers who, in principle, entertain the possibility that in the right circumstances, which usually means a stalwart U.S. policy that deters Russian misbehavior, the two countries could find issues on which to cooperate, their premise casts a rather grim shadow. They start from the assumption that, at root, the United States and Russia are locked in a zero-sum game: that Russia under Putin believes it can only achieve its objectives by undermining the U.S. role in the world; that, if necessary, it will willingly undo what Europeans regard as the bedrock of a post-Cold War European order; and that it seeks a free hand, unencumbered by establish norms and Western liberal values, in order to organize its neighborhood and act elsewhere as it chooses. There is an element of truth in this, but its implications, in my view, are different from those commonly assumed. I subscribe to Trenin’s argument that, while the West sees Russia’s actions as designed to overturn the existing European order, Russia, in fact, is intent on weakening what Putin and colleagues resent as the post-Cold War order. By this Trenin means the role the United States has arrogated since the collapse of the Soviet Union, and that Putin has assailed in speech after speech tracing back to his sulfurous assault at the 2007 Munich Security Conference. Seizing the sovereign territory of another state, as Russia did in Crimea, indisputably tears a hole in a fundamental principle underlying the modern European order—and, indeed, the international order in general. But whether Russia did this and the other things that have followed to destroy Europe’s peace and security is another matter. How much Russian behavior is a swashbuckling effort to impose Russian will and indulge Russian ambitions, without regard for the interests of others or, alternatively, an often aggressive but circumscribed effort to checkmate trends that Putin and his circle view as threatening, deserves, as I have been arguing, to be tested. If it is the latter, with reasonable adjustments on both sides, achieving a modus vivendi in different realms is a workable objective. If it is the former, much of what I am urging is wrong-headed, and the first order of business must be to knock Russia off its mark and march it back into conformity. Enter Donald Trump. Three of the four reviewers, with justification, only offer brief, limited, and tentative thoughts on what his election may mean. Rice, with even greater wisdom, avoids the subject entirely. How a Trump administration may approach Russia, let alone with what effect, seems to me utterly unpredictable. Even assuming that Trump’s warm words about Putin and his stress on the importance of the two countries getting along translate into a readiness to re-engage with Russia and to look for ways of doing business together, three things remain entirely unclear. First, it is not certain that this disposition can survive within the Administration, when key members of its foreign policy team do not share it, when the great portion of a Republican-controlled Congress, including prominent leaders, oppose it, and when most of the country’s opinion makers are skeptical of it. Second, it is unclear whether the Administration is capable of moving from an inclination to a workable policy. Will it be able to fashion a strategy that systematically orders ends and means (e.g., that attaches appropriate Russian tradeoffs, if it moves to lift sanctions; that matches its willingness to cooperate with Russia in Syria and against ISIS with expectations of reciprocal constructive actions on Russia’s part; that looks for incentives encouraging a more helpful Russian approach to the Ukrainian crisis, rather than walking away from the problem; that weighs the importance of preserving the INF treaty and moving beyond the new START agreement, and then develops an action plan to this end; and much more). Third, while Putin will doubtless be happy to see less hostility emanating from the U.S. side and be ready to dial back the vituperation on his part, it is unclear that he has any intention of compromising Russia’s position on any of the major issues over which the two countries are at loggerheads. Were the new administration to set about systematically changing the course of U.S.-Russian relations, and the Russian side in at least small ways to do its part, allowing the anti-Russian consensus that grips the U.S. Congress and media to begin eroding, the two sides could begin edging away from the new U.S.-Russia Cold War. But ending it, like the original Cold War, is likely to be a multi-stage process, and in the early stages progress will constantly be imperiled by continuing clashes over old and new issues, accentuated by the layers of mistrust weighing on both sides. Unless they make it a conscious objective to begin addressing the sources of this mistrust, the history of the last twenty years suggests that sooner or later it will infect the minds of even the most pro-Russian members of the Administration. A final thought: even in the best of circumstances, it is difficult to imagine the leaderships of the two countries doing more than managing confrontation and keeping a lid on the way they deal with the urgent issues of the day. The thought that they would think beyond, would step back and recognize the large stakes that they have in the relationship, would understand the importance of their partnership in dealing with the transcendent challenges already on the horizon, and would set about building this partnership in ways able to withstand the frictions that will inevitably come—and in the process bury the pressures that led from the hopes at the end of the Cold War to this new Cold War—to put it mildly, stretches the imagination. Quoted in Robert Jay Lifton, “Toward a Nuclear-Age Ethos,” Bulletin of the Atomic Scientists 41:7 (August 1985), 168. Janet Guttsman, “Yeltsin Blast Strikes, Kremlin Marginalized,” Moscow Times, 31 August 1995, http://old.themoscowtimes.com/sitemap/free/1995/8/article/yeltsin-blasts-strikes-kremlin-marginalized/335257.html. Jiří Dienstbier, “Visegrad – The First Phase,” Visegrad Group; available at: www.visegradgroup.eu/the-visegrad-book/dienstbier-jiri-visegrad. Richard Boudreaux, “Military Chief of CIS Defects to Russian Post: Ex-Republics: Switch to National Security Council Signals an End to the Commonwealth’s Defense Alliance,” Los Angeles Times, 12 June 1993; available at: articles.latimes.com/1993-06-12/news/mn-2398_1_national-security-council. Thomas L. Friedman, “Yeltsin Says Russia Seeks to Join NATO,” New York Times, 21 December 1991; available at: www.nytimes.com/1991/12/21/world/soviet-disarray-yeltsin-says-russia-seeks-to-join-nato.html. Jane Perlez, “Yeltsin ‘Understands’ Polish Bid for a Role in NATO,” New York Times, 26 August 1993; available at: www.nytimes.com/1993/08/26/world/yeltsin-understands-polish-bid-for-a-role-in-nato.html. Robert Jervis, “Was the Cold War a Security Dilemma,” Journal of Cold War Studies 3:1 (2001): 36-60. DOI: https://doi.org/10.1162/15203970151032146. William F. Burns, Remarks at the Russia World Forum, Washington, D.C., April 2009. Henry A. Kissinger, A World Restored: Europe after Napoleon: The Politics of Conservatism in a Revolutionary Age (New York: Grosset & Dunlop, 1964). Dmitri Trenin, Should We Fear Russia? (Polity, 2016), 2. I was puzzled by this sentence in Rice’s review: “Since NATO has always been more than a security framework—it has been an alliance to protect the freedom of its member states—it is no surprise that newly democratizing countries on its border would feel an affinity toward it, especially as Russia’s experiment with democracy started to sour.” I take the point expressed in the last half of the sentence, but the first half scarcely squares with the earlier history of NATO and its Spanish, Portuguese, Greek, and Turkish members nor, to judge from political developments in some of the newer NATO members, is NATO membership even now a firm guarantee of a people’s freedom. One senior State Department official, in a private meeting, dismissed my argument by saying the alternative I proposed was never on, because Russia would never have settled for anything less than a special sphere of influence over its former empire and a veto over the role played in it by the West. Ronald Asmus reports that Secretary Rice, along with Secretary Robert Gates, initially questioned the wisdom of pushing the NATO-Ukraine-Georgian issue. See Ronald D. Asmus, A Little War that Shook the World (Palgrave Macmillan, 2010), 124. The quotation is from William Burns, “How We Fool Ourselves on Russia,” The New York Times, 7 January 2017. This widely shared thought is Chrystia Freeland’s, Canada’s new Foreign Affairs Minister and someone on Russia’s travel blacklist (a circumstance that outdoes anything during the original Cold War). Jessica Taylor, “5 Top Moments from Rex Tillerson’s Hearing to Be Secretary of State,” NPR (11 January 2017) at: http://www.npr.org/2017/01/11/509216287/watch-live-rex-tillersons-secretary-of-state-confirmation-hearing. As I describe in the book, of the various U.S. efforts at strategic dialogue with Soviet and Russian leaders, the one that came closest to a useful model was that tried by the George W. Bush administration in the months after the 2003 Iraq invasion. Rice writes that it “was not the locus of engagement in U.S.-Russian relations,” which occurred at the level of presidents and other high-ranking officials. My only point is that, if one is looking for a model by which to conduct a strategic dialogue, what the Putin and Bush leaderships created, if it was as senior White House officials described to me, provides a good example. Previous Previous post: Policy Series: Why Does Donald Trump Have So Much Trouble with the Truth?